May I interest you in some activism? Finals might bog you down now, but class is almost over, giving you more time to fight for important causes. And with 2018 midterm elections coming up, you’ll want to figure out who to support and how to help them win. Want to get involved but not sure how? Students in the Ann Arbor area can learn more at the information session held by Emerge Michigan and Emerge America. Volunteer and join the Emerge Rhode Island Organizing Committee for a conversation about changing the face of leadership in Rhode Island. Speakers include Former Lieutenant Governor Elizabeth Roberts and Meredith Curren. Meet the women leading the resistance at the annual event held by EMERGE America. Senator Elizabeth Warren will join as the keynote speaker. Join brunch items and bottomless champagne as you hear from some of the most important LGBTQ elected officials in the region. Join Higher Heights for the the #BlackWomenLead Political Leadership Webinar Series. Lead Trainer Rachel Junard will teach how small-dollar digital fundraising can help organize better representation. Join HRC for its Membership Outreach Theatre Event. Die, Mommy Die! is “a Greek tragedy on acid with a gay Hollywood twist,” starring Drew Droego as Angela Arden. 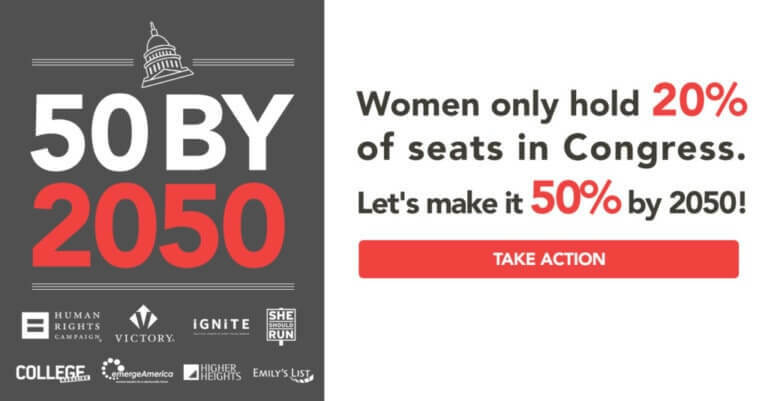 Emerge America’s three-day intensive training will prepare women to run and win in this year’s election. Candidates will learn about developing a campaign plan, fundraising, press operations and more. Take the first step towards political leadership by securing a seat on a local Community Board or commission. Meet with Brooklyn board members and commissioners to take that step by networking and finding out what’s available for you to step up and take.